The Harowe brand from Dynapar is a leader in rugged, noise-resistant housed and brushless resolvers. For more than 50 years, Harowe has been the brand people turn to when they need non-stop performance in tough conditions. Ideal for heavy-duty construction applications, Harowe resolvers stand up to high temperatures, high shock, vibration and dirty environments. Available in housed and frameless varieties, Harowe resolvers can be customized to meet your exact specifications to provide proven product reliability and ruggedness in extreme applications. When the military relies on a line of resolvers for proven performance, you know it?s a top-of-the-line product. Precise feedback and speed control of their aircraft at all times is imperative to pilots. That?s why they trust Harowe brand resolvers to deliver reliable and accurate feedback. Dynapar standardized and customized brand motor mount servo encoders and Harowe brand?servo resolversare reliable, affordable and extremely compact in size to enable production personnel to monitor critical motor speed and position parameters within their motion control and production applications. Accurate motor speed tracking ensures optimum machine performance and operation designed to prevent motor burnout, or worst case, costly machine shutdown. 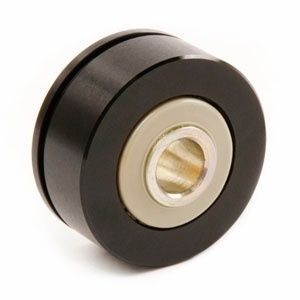 The AD35 absolute encoder?s short mounting depth allows for installation in tight motor endbells. 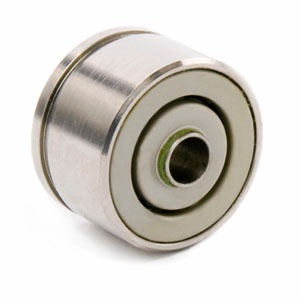 With up to 10,000 RPMs, this encoder is suited for high speed servo motor applications. 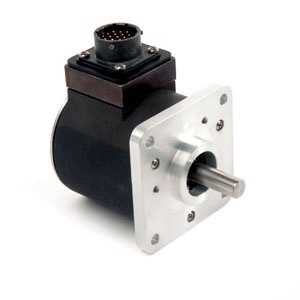 Size 15 Incremental Servo Encoder with Flex Servo Ring for easy installation. Short mounting depth with +/-2.5? Arc-Min accuracy, ideal for high performance servo motors.